About the Event: Writers of short story, fiction, poem, article, travelogue, blog etc., come along and share parts of your own work in progress in hard copy at the meet. All participants critique each other’s work, giving their opinions, big-picture feedback and suggestions for improvement. Not sure about the critique group is for you? Then come and try one of our monthly meet sessions. The British Council Ahmedabad has started a Writers Group Meet – this is a great platform to gather feedback and inputs on any piece of written work for any writer 12 years and above. 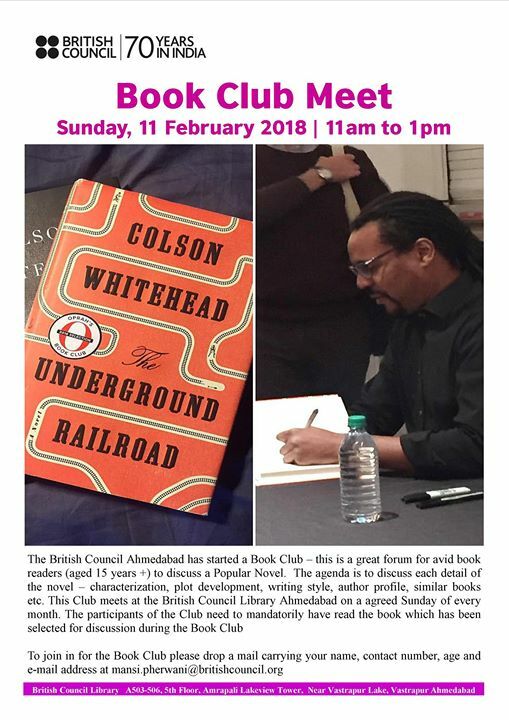 This group meets at the British Council Library Ahmedabad on the 1st Sunday of every month.